- Excellent in the fight against hemorrhoids. Take 2 tablets 3 times daily before meals, or as directed. Preparation containing dried Nopal cactus stem. 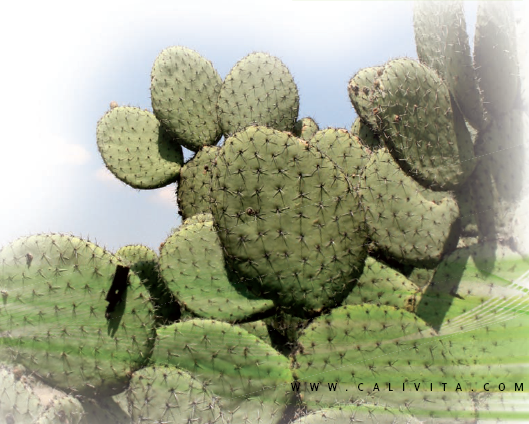 Nopal is a plant that belongs to the Opuntia cactus family and is very rich in vitamins and minerals. Due to its fiber content, it also supports the healthy functioning of our body. Helps maintain proper body weight, controls the amount of gastric acid secretion and lowers cholesterol and triglycerides in the blood. It may be an ideal supplement for detoxifying regimes and body mass reducing diets as well. Nopal (Opuntia streptacantha), also known as the prickly pear cactus, is desert cactus native to Mexico, the southwestern U.S., and can also be found in the Canary Islands. It has exceptional nutritional qualities as it contains several important vitamins and minerals as well as dietary fiber. 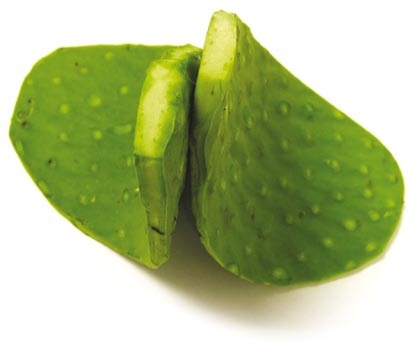 Nopal is rich in vitamins B1 (thiamine), B2 (riboflavin), and B3 (niacin), as well as vitamin C. It contains bioflavonoids and beneficial minerals such as potassium and calcium. It is a good source of easily digestible protein, containing 17 kinds of amino acids, including 8 essential aminos. Aside from providing all of these nutrients, Nopal cactus may help provide nutritional support for weight management diets, as well as detoxifying regimens. This is because the quality fiber found in Nopal is naturally hydrophilic. Nopalin is equally an excellent digestion helping, hunger suppressing formula, promoting the normalization of body weight and may effectively supplement the slimming diet. The tendency to absorb water causes the fiber to swell, which in turn may help support feelings of saiety, and a reduction in caloric intake as a result. To the extent that waste and toxins may be suspended in water, fiber can help absorb and bind these substances and support elimination from the body. In Mexico it is also used as food. 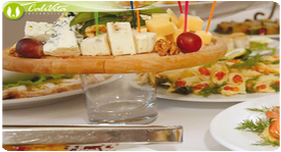 It is equally enjoyed as a salad, in soups or as a garnish. 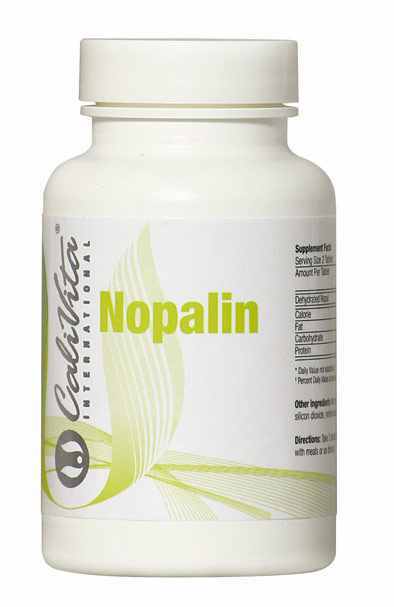 Keywords: Nopalin, Calivita, nopal cactus, Opuntia, fiber, cholesterol, triglycerides, antioxidant, antioxidant, cleansing, weight loss, simming diet.